The close relationship of Boeing (whose former employee Patrick Shanahan is now the acting Pentagon chief) with a Chinese government-backed satellite start up company has been the target of an SEC and Commerce Department investigation, according to the Wall Street Journal. Global IP, based in Los Angeles, reportedly received a letter by the SEC requesting that the company retain all of its documents related to its work with Boeing as well as other entities, including China Orient Asset Management Company, a state owned Chinese lender. The letter says that the SEC believes that the company has "documents and data that are relevant to a matter under investigation". The letter was disclosed in a court filing on January 4 by one of Global IP's founders, Umar Javed. That filing was part of litigation against a group of defendants that includes a unit of China Orient. China Orient was said to be providing financing to Global IP for the purchase of a satellite from Boeing. This is problematic because due to recent diplomatic... tensions shall we say, American companies are "effectively barred" from selling satellites to China. The Commerce Department is also said to be looking at Global IP's Chinese financing. The Commerce Department is in charge of issuing export licenses from CFIUS, which is tasked with reviewing foreign deals for national security concerns. The two co-founders of Global IP are suing because they allege that a unit of China Orient secretly took control of the company after it accepted $200 million in financing from the firm. The founders stated they had been upfront in disclosing to Boeing where their funding was coming from to begin with. In a separate article, Global IP had denied to the Wall Street Journal that it was controlled by China Orient, at odds with what this lawsuit states. Javed said he obtained the SEC’s letter because he was a minority shareholder in the company, but he claims he’s no longer involved in day-to-day operations. 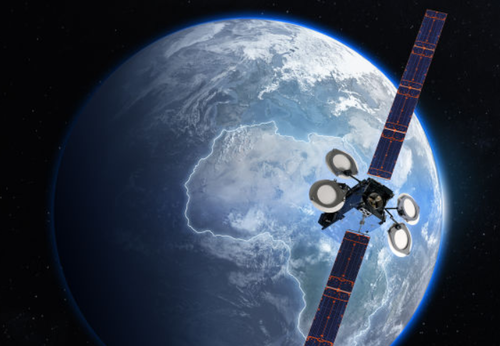 Using their financing from China Orient, Global IP contracted Boeing to build a satellite that would beam internet coverage to sub-Saharan Africa. National security experts were said to be concerned that the satellite could then be repurposed for military activities. In a previous Wall Street Journal article, lawmakers and government officials said that they were surprised Boeing would work with Global IP if it knowingly understood China's involvement. The SEC investigation is said to still be at a preliminary stage and is not a guarantee that the agency will bring a complaint. This follow-up comes after a December 4 long-form expose on the transaction between Global IP and Boeing, which you can read here.